A well known charity has big concerns about toy giant Toys "R" Us. The charity, which has been around for 17 years, is known around the New York area as Holiday Express. "I would guess so, yeah," said shopper Roe Durso of Marlboro, NJ. She was standing in front of a new Toys "R" Us Holiday Express outlet but was familiar with the charity. The founder of the Holiday Express charity, Tim McLoone, says he tried to get the company to change the name when he first heard of their plans this past summer, as he worried about public reaction. "They might feel 'Hey let's go to Toys "R" Us cuz we'll be helping 'Holiday Express(the charity)' and they'll think they're somehow donating to us or on the other hand they might think 'Hey, they made a deal with Toys "R" Us, those guys are doing great, they don't need my dollars,'" said McLoone. The charity 'Holiday Éxpress' contacted the parent company of 'Toys "R" Us Holiday Express' but McLoone says he got what he described as a 'brush off' from them. But a spokeswoman for the company, while acknowledging the contact, denied any effort to encroach on the charity. "If you Google 'holiday express,' you're gonna come up with thousands of hits," said Kathleen Waugh of Toys "R" Us. She added, "we see no way the consumer is gonna be confused between the two." The charity expects to distribute more than 15,000 gift bags and serve over 10,000 meals this season, but is worried about donations. It doesn't take a penny of government money, and has seen some drop-off in donations since the recession began almost 2 years ago. Why did McLoone never copyright the name? "We were so grassroots and so volunteer, it truly never occurred to us there woukd ever be any issue," said McLoone. He said that while the charity would like Toys R Us to alter its 'Holiday Express' name, his organization can't afford to take it to court. 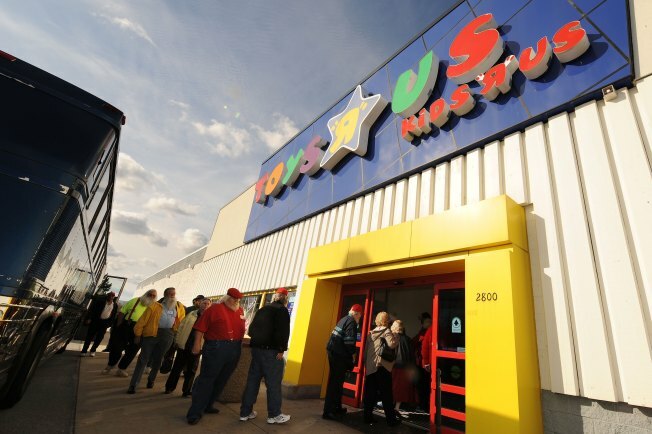 Toys "R" Us has already opened 80 of the smaller toy stores in malls and strip shopping centers around the country.